DAY 1: IT Demystified for IT Recruiters. The IT Terminology, jargon and concepts explained. One of our most popular titles, this course is a must for any IT recruitment consultant, resourcer or HR specialist looking to build up credibility within today’s IT recruitment arena. and technologies with both candidates and clients alike. As well as clarifying the jargon and terminology seen on IT CVs, you will be introduced to some of the newer associated technologies (such as virtualisation BYOD, Cloud, Internet of Things, Mobile development) and become more confident in handling all the associated roles in these areas. The course is designed to give even the most cynical technophobes a warm feeling about the brave new world of IT in the 21st century. Regardless of your previous occupation or experience with IT, we are confident that we can instil a new passion, energy and credibility, thus giving you that solid foundation as you launch into your new career. DAY 2: IT Roles and the IT Department Demystified for IT Recruiters. This training course is designed specifically for recruitment consultants, resourcers or HR specialists looking to build confidence and credibility within the field of IT recruitment. If you are working in this arena this training will teach you everything you need to know about the individual roles within an IT department, what they do and how they inter-relate, and they how they come together in the IT Project lifecycle. As well as this there is an exploration of the newer anti-structured approaches such as Agile, Scrum and DevOps. After attending this course you will be able to confidently discuss in detail all aspects of these IT roles with both candidates and clients alike. After this day they will become complete fluent in the experts within IT and how to ask incisive interview questions. With CV based exercises and quizzes throughout the day, you will obtain a clear understanding of the functions and significance of each role and so become more confident in handling requirements in these areas. Holistica brings you another world first! This is a course designed specifically for those recruiting in the rapidly evolving Software Development arena. This is the most comprehensive course in the world for recruiting in this area. Designed for the consultants and resourcers, it will teach you everything you need to know in order to confidently discuss software requirements with candidates and clients alike. Another world first from Holistica for those in IT recruitment. A tried and tested, highly acclaimed event for those looking to show their credibility within today’s Big Data and Database/ Data Warehousing recruitment arena. and technologies with both candidates and clients alike. 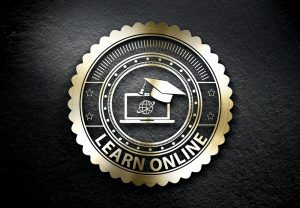 As well as clarifying the jargon and terminology seen on IT CVs, you will be introduced to some of the newer associated technologies (such as Machine Learning, Watson and AI) and become more confident in handling all the associated roles in these areas (including Data Analyst and Data Scientist). Another world first for IT recruitment consultants, resourcers and HR professionals looking to build up credibility within today’s IT recruitment arena. and technologies associated with Infrastructure and Cloud. As well as clarifying the jargon and terminology seen on IT CVs, you will be introduced to some of the newer associated technologies (such as virtualisation BYOD, Cloud, and Internet of Things) and become more confident in handling all the associated roles in these areas. The course is designed to give even the most cynical technophobes a warm feeling about the brave new world of the evolving IT architecture in the 21st century. Regardless of your previous occupation or experience with IT, we are confident that we can instil a new passion, energy and credibility, thus giving you that solid foundation as you launch into your new career. Holistica brings you another world first! This is a course designed specifically for those recruiting in the rapidly evolving telecoms market. Are you finding that your Telecoms Recruiters are now having to speak more fluently in the areas of IT? Are you now discovering that the traditionally telco roles and job specs are starting to fade away and are becoming more and more IT oriented? Then this is the course for your telco teams. In terms of content, this course will give all telecoms recruiters a very clear and detailed understanding of the impact that IT and Digital is having on the telecoms architecture. We go on a journey from a high level overview of planet-changing concepts such as IoT and BYOD, through to the detailed explanation of the type of hardware and applications that might be found in the OSS and BSS. For the telco recruiter to become credible in this arena they need to feel totally comfortable with the IT concepts that come in to play around the architecture and this course will hand hold them through it. Using clear plain language (as much as is possible), the training will demystify what may appear to be esoteric technology areas, and get you ready to understand the growing interface where IT meets telecoms. This training will teach you everything you need to know in order to confidently discuss converged technologies with candidates and clients alike. There are no pre-requisites for attending this course, however we prefer that you have had some exposure to telecoms services or products at a recruiting level. 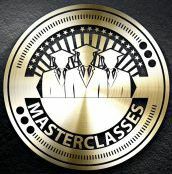 The entire two day Masterclass covering IT Roles and IT Terminology can now be studied in front of a PC or even on your tablet or smartphone at your own pace. The course is delivered by Ayub Shaikh with his inimitable approach . With bite sized video clips to cover module by module at a pace to suit you, and with the added benefit of being able to go back and re-do the areas that you felt less certain about. With tests at the end of every session you will gain a similar benefit as attending a live event.